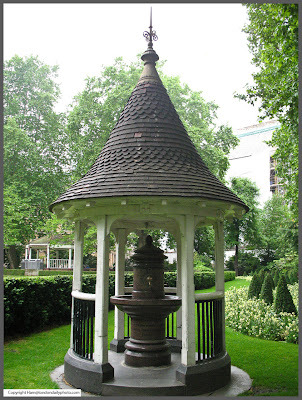 This odd little structure in Finsbury Circus seems to have been erected by the Victorians to keep you dry while you sup from the fountain. Most odd. Comments on "A dry drink"